During our 4 day tour on the Western Front in France and Belgium, we visit the most relevant memorials, cemeteries, trenches and significant battlefield sites from World War One. All the sites were Australians have been involved during WW1 such as: Somme, Pozieres, Villers Bretonneux, Le Hamel, Passchendaele, Polygon Wood, Hill 60, Ypres, Messines Ridge and Menin Gate. Provide the names and service numbers of your relatives and we discover together the places where they have been involved. During our 4 day tour we visit the most relevant memorials, cemeteries, trenches and significant battlefield sites from World War One. All the sites were British have been involved during WW1 such as: Somme, Albert, Vimy, Loos, Mametz, Thiepval, Neuve Chapelle, Aubers Ridge, Passchendaele, Hill 60, Ypres, Messines Ridge and Menin Gate. During our 4 day tour we visit the most relevant memorials, cemeteries, trenches and significant battlefield sites from World War One. 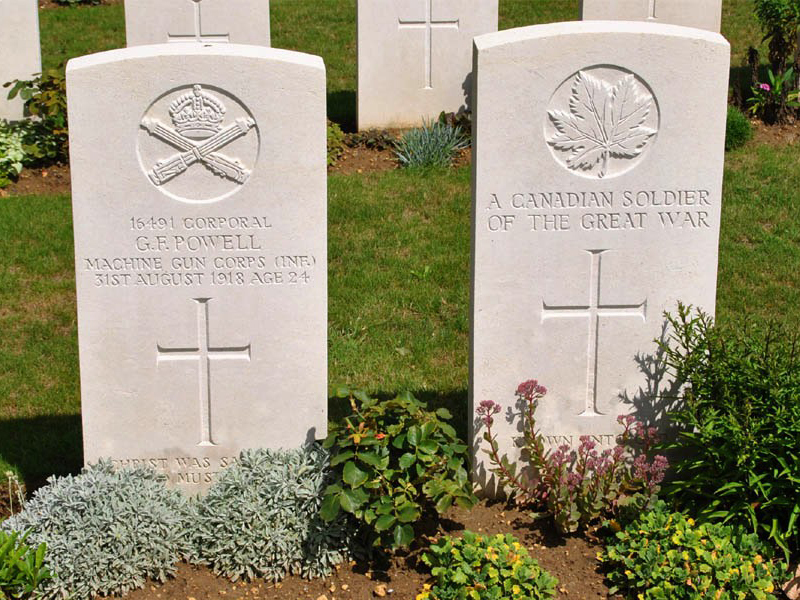 Sites were Canadians have been involved during WW1 such as: Somme, Pozieres, Courcelette, Vimy Ridge, Beaumont Hamel, St Julien, Hill 62, Mont Sorrel, St Eloi, Villers Bretonneux, Passchendaele, Polygon Wood, Hill 60, Ypres, Messines Ridge and Menin Gate. During our 4 day tour we visit the most relevant memorials, cemeteries, trenches and significant battlefield sites from World War One. All the sites were New Zealanders have been involved during WW1 such as: Somme, Arras, Bapaume, Grevillers, Flers, Longueval and Carterpillar cemetery, Havrincourt, Vertigneul and Le Quesnoy, Passchendaele, Polygon Wood, Hill 60, Ypres, Messines Ridge and Menin Gate. 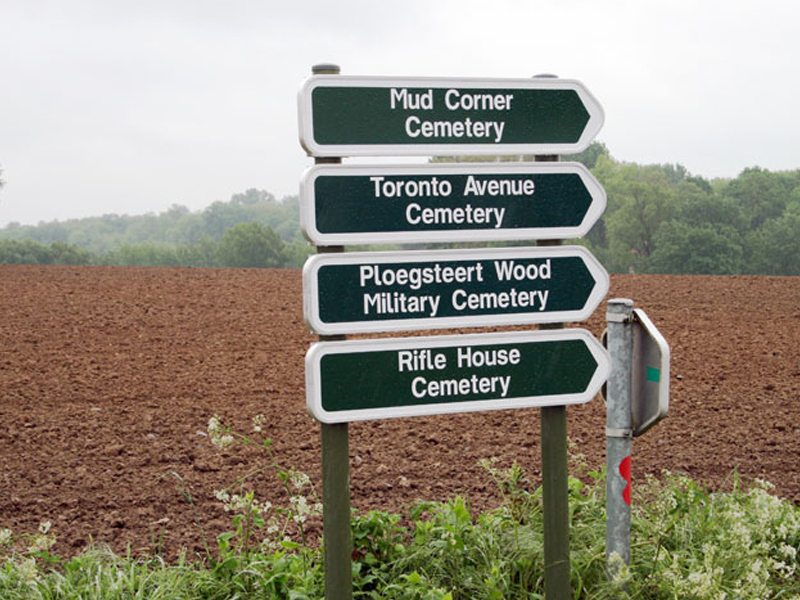 We visit the major burial places as Tyne cot, Passchendaele, Flanders Fields and big American Battlegrounds such as Vierstraat but also Hill 62, bunkers, trenches and any other place on request. During our day tour we focus on the different battlefields in the Ypres Salient and the Messines ridge. We find out about the hard life of the soldier on the front and understand the importance of the geographie, topographie and geologie in relation with the battles. The combination of local knowledge and historical research through the years turns out to be a major asset to give our clients the most rewarding experience. The main issue for us is to give our clients a tour adapted to their needs and expectations.Whatever their choice is, a one day or several day tours we can arrange it. Following the footsteps of your relative is very humbling and a lifetime achievement with their suffering in the back of your mind. We were three friends from Spain and wanted to visit in one day the most important places of WWI at Ypres. Annette was an EXCELLENT guide, the tour that she made absolutly completed our expectations. Without her guidance and knowledge (that is impressive) it would have been imposible to seize the day as we did. Our guided tour will take you to the most relevant trenches and significant battlefield sites from World War One such as Hill 60, Hill 62, Tyne Cot cemetery, Polygon Wood,Essines Ridge and more in the Ypres Salient. In the Somme we go to Thiepval, Pozieres, Mouquet farm, Villers Bretonneux. But we take you also to places of your own choice: a small cemetery where a relative is buried or a less known battlefield where he fought was wounded or received an award. We also visit German sites as well Allied. As a special service we can try to trace the movements of an individual soldier during the first world war. If you are interested in that service, please give us notice a few weeks prior to your arrival. 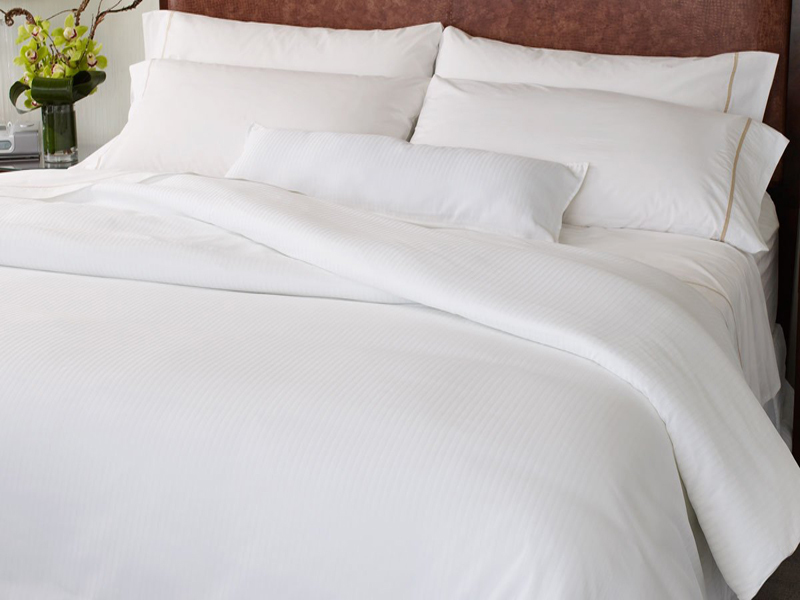 During our package tours we use the Novotel in Ypres and breakfast and dinner is included in the price of our 2. 3 or 4 day battlefield tours. Convenient is to arrive in Lille the day before the tour. In this case we will be happy to recommend accommodation near the station where you arrive. 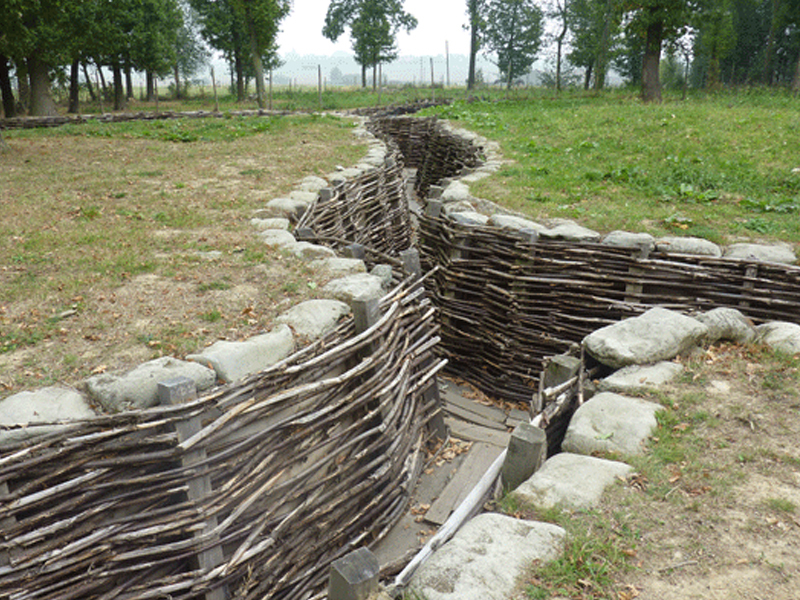 If you have choose your own accommodation, we are also able to guide you on the Ypres and Somme battlefields.